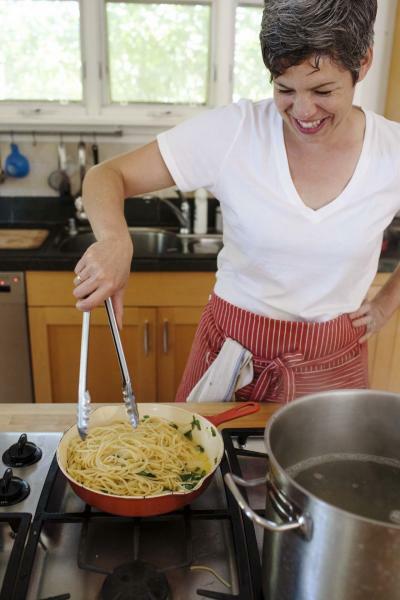 After collaborating on a half-dozen chef cookbooks, and following the birth of her two children, longtime chef and food writer Jessica Battilana found herself at a crossroads: she didn’t want to give up cooking, but the way she cooked had to change. So she leaned in to the tried-and- true recipes that comprise the backbone of her cooking life, choosing cooking from a reliable collection of familiar recipes over a life of takeout. These slam-dunk recipes—for everything from weeknight dinners to the ideal birthday cake—are craveable dishes for all occasions and times of day. 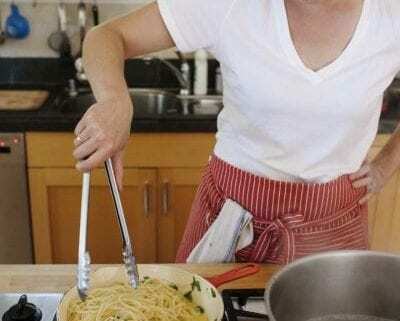 REPERTOIRE: All the Recipes You Need (Little, Brown and Company; April 2018) is a beautiful, approachable cookbook filled with 75 real recipes, from real life, that really work, and that reflect the way the San Francisco Chronicle Repertoire columnist Jessica Battilana really cooks at home. Filled with her collection of foolproof recipes, peppered with beautifully rendered stories, tricks and techniques gleaned from family and fellow chefs, and anecdotes about daily meals for her two young children, REPERTOIRE is a collection of cherished home recipes to cover all seasons and have endured for generations. Endorsed by the likes of Yotam Ottolenghi, Samin Nosrat, Molly Yeh, and David Lebovitz, REPERTOIRE delivers trustworthy, versatile, delicious recipes that can stand alone or be mixed and matched into immensely satisfying suppers. Jessica Battilana writes the Repertoire column for the San Francisco Chronicle and is the author of Corn, from Short Stack Editions. The coauthor of several other cookbooks, her work has appeared in Martha Stewart Living, the New York Times, the Wall Street Journal, Gastronomica, Saveur, Sunset, and multiple editions of Best Food Writing. A Vermont native, she lives in San Francisco with her wife and children.